First, I want to make it clear, I only speculate about the purpose of the universe. I don't in fact know what the purpose is or if there in fact is one, but I have as much right as anyone to use my intelligence to speculate or guess what that purpose is. Who knows, I might even be right, although I don't think there is a way to prove anyone is right, but it's an interesting exercise to think about what that purpose might be, and maybe being right is not all that important. So here is my guess. The purpose of the universe is to see if it's possible to organize individuated life forms is such a way as to maximize collective and individual happiness. This might not even be possible. War and conflict seem to be the history of the human race. Would it even be possible for human cultures and societies to live in peace and abundance without conflict and war? I think it is possible, and, if so, that outcome may be why the universe was created. This presupposes that there was a Creator of the universe, and that Creator had a purpose in mind when He created the universe. It seems that an individuated universe, a universe that produces individuals whether animate or inanimate, would be the necessary baseline for this purpose to be carried out or not over time. There are a number of reasons to believe that my speculated purpose is not really the case or could not really be the case. If the purpose of evolution is the survival of the fittest, this has nothing to do with creating a society which maximizes happiness. The happiest society might not be the fittest to survive society, and, therefore, my purpose conflicts with the purpose of evolution. But this might be explained away as follows. In the early days of life on earth, millions of years ago, evolution was directed by a survival of the fittest ethic. This was the situation due to the fact that no life forms had yet evolved with large enough brains to restrain predation. There was in essence anarchy among existing life forms. Great predators roamed the earth devouring everything in their path. After some cataclysmic events which caused the extinction of some of these predators, human beings evolved. One might ask 'why did predators evolve in the first place if the purpose of life is to end up with a society in which there was maximum happiness?'. Predators are only interested in providing happiness for themselves which is produced partly at least by preying on their victims. Here I have a qualm with the current theory of evolution which assumes random genetic mutations followed by natural selection. I speculate that the course of evolution can be driven by the subconscious minds of the individuals involved. For instance, when humans split off from chimps some 6 million years ago because their pelvis tilted so that humans could walk upright better, I assume that the subconscious mind or minds of the chimps figured out that there was some advantages to walking upright. Of course, the same would have to be true for predators. Their subconscious minds could have had something to do with evolving sharper teeth and more powerful jaws. In the days before creatures with large enough brains to have some kind of organization of society, the law of the jungle or survival of the fittest would prevail. If several large brained species evolved contemporaneously, it would be hard to visualize how they would not be in conflict. However, once one of them had attained dominance as homo sapiens has today, it is hard to visualize how a smaller brained predator could ever dominate since humans have developed weapons that could seek out and destroy the dinosaurs, for example, or any other smaller brained predatory species. So the problem becomes how can human beings get along without descending into conflict, war and predation upon each other. It is easy to imagine how this might work. Sharing of natural and man made resources could lead to the elimination of wars and conflicts over resources. Court systems can separate out from society the most egregious predators. Democratic voting can lead to equality in decision making which might eliminate conflicts over arbitrary decisions imposed by others. Cultural evolution could solve most of the problems and dilemmas humans face including organizing human society in a fair and just way that could tend to maximize happiness. At least at this point in history an argument could be made that the stage has been set for the final stage which would be to harmonize human society within itself and with the planet in general. Predators of other species no longer exist, and predation within the human species, although it still exists, has been circumscribed to a considerable extent. Biological evolution within the human species could lead to more empathetic and less selfish humans or cultural evolution could lead to further restraints on predatory behavior and more elegant social structures. For whatever reason the survival of the fittest ethic did not lead to the dominance of earth's historic greatest predators whether reptilian or mammalian. What did happen was that a less fit being was allowed to evolve to the point that its large brain gave it dominance over all smaller brained creatures whether predatory or not. Humans at least have the chance to evolve more harmonious social structures which might lead to peace on earth and sharing of resources. Such a society might then represent the accomplishment of the purpose of the universe which might be living in a harmonious balance among all earth's creatures and resources. This process might well be occurring in other parts of the universe simultaneously and not just here on earth. In any case the problem of many identical life forms living harmoniously without major conflicts seems to be the major problem confronting us today. It's interesting how we human beings are so concerned about the afterlife, but I have never heard anyone discuss seriously the beforelife. Certainly there are some who believe in reincarnation and believe that they were 18th century French royalty or participated in the English Civil War or something. But aside from that, certainly not in Christianity or Judaism, is there any concern about what happened or what form our existence took before we were born. From a scientific point of view the existence of a beforelife is equally important as the existence of an afterlife. If in fact there were a beforelife, this would point to the existence of an afterlife. But if in fact there were no beforelife, then there well might not be an afterlife. Of course, there are those who believe our souls came into existence at the moment we were born or shortly before, and this would explain why there is no beforelife. If in fact I have no recollection of a beforelife, this does not mean that there wasn't one. But what is the meaning of something I have no recollection of? I have no recollection that I knew anything about my parents or grandparents before I was born although they surely existed. Neither do I have any recollection of myself before I was born. In fact it seems like a concept without meaning. The only belief I can really muster about a beforelife is that I had some "vague awareness" of something although I can't state even this unequivocably. This "vague awareness" does not require that I was an individual being before I was born. I could have been a part of some cosmic energy pool that then embedded itself in a newly conceived fetus and eventually became the individual that I call me. By the same token of parity or symmetery (parity by the way is the name of the symmetry of interactions under spatial inversion), an afterlife, if there is one, might not consist of a knowledge of myself as an individual but of some "vague awareness." If, in an afterlife, I exist but have no recollection of my former life as an individual on earth, then I am effectively another individual or entity. There are lots of examples of this in the present tense. I know there are other individuals on earth presently (about 6 billion of them), but I don't know all the details of their lives. I'm not umbilically connected to them. I don't know first hand or experience when they feel pain or pleasure. So I don't identify myself with them except as fellow travellers along life's course. In a sense they are not me. So If I exist in an afterlife but have no recollection of me in this life, I am effectively another individual and not myself, as presently constituted, in an afterlife. To be myself in an afterlife, at a minimum, I would have to have some recollection of having existed as myself in this life. But since I have no recollection of myself in a beforelife (which is something I know), I may not have any recollection of myself in an afterlife (which is something I don't know but can infer by parity). Modifying the definition of parity somewhat I might say that parity is the name of symmetry of beings under temporal inversion. What I do know is that, after I die, there will be other lives that will continue barring some unfortunate event that wipes out all life on earth. Even a cataclysmic event will probably not wipe out all lifeforms on earth so that life may continue to evolve towards something resembling intelligent life on the planet today. Even after the earth ceases to exist, as physicists tell us it will some day after the sun dies, I presume life will continue elsewhere in the universe and continue to evolve toward intelligent life forms. Eventually, however, there is reason to believe that the universe itself will die either in a big crunch which would be symmetric with the big bang in which it was born or by expanding to the point of heat death. But I digress. If I'd never been born, I wouldn't have known that the universe even existed. I know it exists by virtue of the fact that I was born into it. After I die, I know that the universe will continue to exist even though I might not appreciate or be aware of that fact in the time period after death. 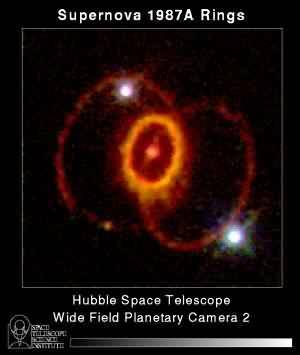 If I have some "vague awareness" of the universe after I die or of anything else, this does not mean that I necessarily retain any awareness of myself as an individual who lived on earth in a certain time period. In order to have an afterlife as an individual who was formerly the individual I call myself, I would at a minimum have to have some recollection of my life on earth as the individual I am today. If that's not the case, then I can only imagine two scenarios. Either I will be part of something or have a vague awareness of something or I won't have any awareness of anything at all. However, I have the knowledge now that other awarenesses, other individuals, do exist and will continue to exist after I die. I do feel some connection to these individuals, at least some of them especially my children and grandchildren. Even though I will not share in their lives after I die, I know that they will continue to exist, and I know that I (hopefully) had something to do with ameliorating the quality of their lives when I was alive. If I have contributed to the quality of life of other individuals, this seems to me to be more important than having some continued awareness of myself as an individual after I die although from a selfish point of view I would like to have such a continued awareness especially if it's one of continual happiness. Perhaps death is the experience in which I give up all selfishness. As an alive person in the present tense, however, I know that the most I can do is to try and maximize my own individual happiness or to try and maximize the happiness of others or some combination of the two. I am under no illusions that, after I die, I can have any direct effect on what goes on on planet earth almost by definition. So my options in dying range from total non-existance, which as far as I can recall was my plight in the beforelife, to total self absorption in my experience of either pleasure or pain, to some kind of continued meddling in what goes on on earth. We have no direct knowledge of the self absorption option except as a religious fantasy nor do we have any direct knowledge of the "meddling" option except as a fantasy about ghosts etc., but we do have direct knowledge of the fact that as we sit here, we have no knowledge of any beforelife. Therefore, this would indicate that we do not survive death in some individual form which is connected to the individuals we were when alive although this is not a foregone conclusion. The good news though is that life goes on and that if we have made a positive contribution to the lives of others when alive, we can hopefully take consolation in that fact as we leave an earthly existence. Certainly in that sense we do have an afterlife. 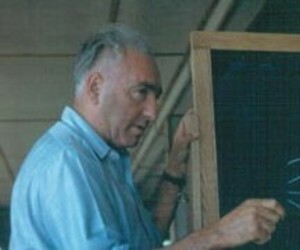 Wilhelm Reich had a theory that a life energy, what he called orgone energy, permeated the universe. He invented a device called an orgone accumulator to concentrate this energy and then a person could sit inside it and reap the healthful benefits. He claimed that it could cure disease and make a person more healthy, vital and full of energy. Later outgrowths of his work were bioenergetics, Rolfing and primal therapy. Reich never claimed that orgone energy was a precursor of life or that it gave rise to life. Other related claims for life energy or spiritual energy are the Chinese concept of qi or chi, the Indian Chakra, the Japanese concept of Reiki. There are also many other related concepts. 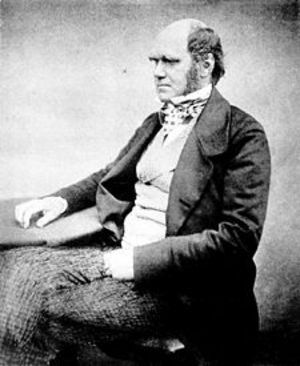 Charles Darwin invented neither the concept of evolution nor the concept of the "spontaneous generation" of life. Others before him including Lamarck also believed in it. Darwin was not the first to develop a theory of evolution. More than 50 years before him the French zoologist Jean-Baptiste Lamarck proposed that the various species had not been created in their current forms all at once, as was commonly believed, but had evolved through time by natural processes. He also embraced the principle of spontaneous generation propounded by Aristotle: Living things came into being directly from nonliving matter. Lamarck supposed this occurred on a minute scale unobservable to human eyes. The general idea is that life had to come into being from non-life or be spontaneously generated. Another term for this is abiogenesis. This theory as well as others are concerned with the origin of life on earth from a primal soup. None of these theories postulate a universal life energy that permeates the entire universe and is a precursor for the development of life wherever circumstances are propitious such as on the planet Earth. The purpose of this blog entry is to propose such a universal precursor, and, I think, proof of it would have to be sought at the quantum level. Is there such a field as quantum biology? That's what I'm proposing. In fact it might be related to the dark mass/energy which makes up a considerable part of the universe and has physicists stymied. There may be some particle of mass/energy similar to a quark which is ubiquitous in the universe (as is microwave background radiation) and is capable of combining with "physical" particles such as quarks and electrons to form elementary life forms. Nothing like this has ever been observed because biologists are only looking at the molecular level. They need to be looking at a level many orders of magnitude smaller, the level of quantum physics rather than the level of molecular biology. Physicists have yet to observe a Higgs boson or a graviton although they think they know so much about the fundamental particles. They have no idea what dark matter or energy is. If you have a scientific mentality, you would have to believe that life is capable of not only existing anywhere in the universe where conditions are favorable, but could come into being by natural means anywhere in the universe. For that to be the case, there must be one or more precursors that are ubiquitous and I speculate that they would be similar to the fundamental particles and might be incorporated into the Standard Model, which is a listing of all the particles and forces known to physicists. Strictly speaking, the term particle is a misnomer because the dynamics of particle physics are governed by quantum mechanics. As such, they exhibit wave-particle duality, displaying particle-like behavior under certain experimental conditions and wave-like behavior in others (more technically they are described by state vectors in a Hilbert space; see quantum field theory). Following the convention of particle physicists, we will use "elementary particles" to refer to objects such as electrons and photons, with the understanding that these "particles" display wave-like properties as well. All the particles and their interactions observed to date can be described by a quantum field theory called the Standard Model. The Standard Model has 40 species of elementary particles (24 fermions, 12 vector bosons, and 4 scalars), which can combine to form composite particles, accounting for the hundreds of other species of particles discovered since the 1960s. The Standard Model has been found to agree with almost all the experimental tests conducted to date. However, most particle physicists believe that it is an incomplete description of Nature, and that a more fundamental theory awaits discovery. In recent years, measurements of neutrino mass have provided the first experimental deviations from the Standard Model. I suggest that physicists incorporate the investigation of life at the level of quantum mechanics so that the Standard Model would include not only all the physical forces such as gravitation and electromagnetism and particles such as quarks and bosons but a "precursor of life" mass/energy as well. Maybe this is what makes up dark matter and energy. 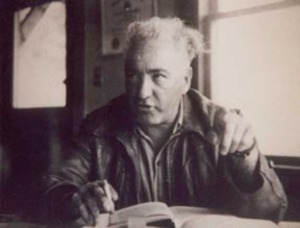 And Wilhelm Reich, although he never made the connection between orgone energy and spontaneous generation, deserves a posthumous apology from the federal government which incarcerated him, banned his literatrure and destroyed his orgone accumulators. He died in federal prison in 1957. One of the things I'm proudest of is that in the late 1960s a group of us, who published the San Diego Free Press, also obtained a copy of Reich's Mass Psychology of Fascism (from Canada) when it was still banned in the US and published and distributed a number of copies. The Mass Psychology of Fascism is especially relevant today in light of the character structure of the Bush Asdministration. In February 1954, the FDA filed a Complaint for Injunction against Reich in the Federal Court in Portland, Maine. The Complaint declared that orgone energy does not exist, and asked the Court to prohibit the shipment of accumulators in interstate commerce and to ban Reich’s published literature which they claimed was labeling for the accumulators. “Scientific matters can only be clarified by prolonged, faithful bona fide observations in friendly exchange of opinion, never by litigation... Man’s right to know, to learn, to inquire, to make bona fide errors, to investigate human emotions must, by all means, be safe, if the word FREEDOM should ever be more than an empty political slogan. After the initial shock, Reich continued his research, traveling to Arizona to experiment with the cloudbuster in the dry desert environment. While he was there, and without his knowledge, one of Reich’ students—Dr. Michael Silvert—moved a truckload of accumulators and books from Rangeley, Maine to New York City, a direct violation of the Injunction. As a result, the FDA charged Reich and Silvert with criminal contempt of court. Following a jury trial, both men were found guilty on May 7, 1956. Reich was sentenced to two years in federal prison, Silvert was sentenced to a year and a day. The Wilhelm Reich Foundation—founded in Maine in 1949 by students and friends to preserve Reich’s Archives and to secure the future of his discovery of the Cosmic Life Energy—was fined $10,000. This destruction of literature constitutes one of the most heinous examples of censorship in United States history. On March 8, 1957, Reich signed his Last Will and Testament. Among its stipulations was the establishment of The Wilhelm Reich Infant Trust Fund as the legal entity charged with operating Orgonon as The Wilhelm Reich Museum; protecting, preserving, and transmitting his scientific legacy to future generations; and safeguarding Reich’s Archives. All appeals denied, on March 12, 1957—two weeks shy of his 60th birthday—Wilhelm Reich was temporarily incarcerated at the Danbury Federal Penitentiary in Connecticut. 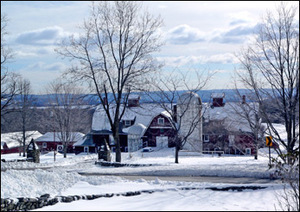 On March 22, he was taken to the Federal Penitentiary in Lewisburg, Pennsylvania. He died there of heart failure on November 3, 1957, and was buried at Orgonon. 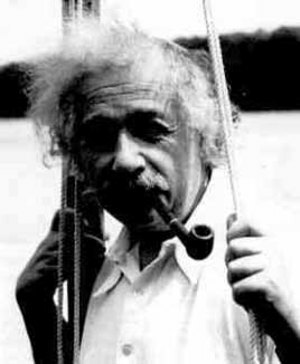 Albert Einstein wasn't paid to come up with the Special Theory of Relativity. Nor was he tasked to do so. It was his unpaid, self-appointed, voluntary job. When Einstein graduated from college, no college or university would hire him. Academia wasn't interested in the talents or the likes of young Einstein. He was fortunate (through connections) to get a job in the Swiss Patent Office. He worked on the Special Theory in his spare time. 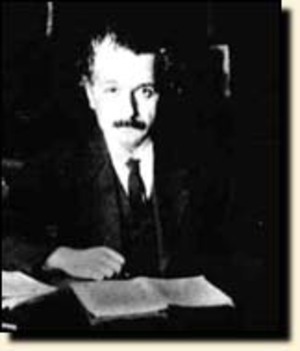 In 1905 three, not one, but three of Einstein's papers were published in the Annalen der Physik: the Special Theory of Relativity, a teatise on Brownian motion and one on the photoelectric effect. Up to this time Einstein hadn't made a dime off of his degree in physics. Instead of working at the Swiss Patent Office he might as well have been earning his living as a gardener, a waiter or a window washer. The amazing thing is that the editors at the Annalen der Physik took the work of this upstart from outside of academia seriously enough to review it and then to realize the importance of it. 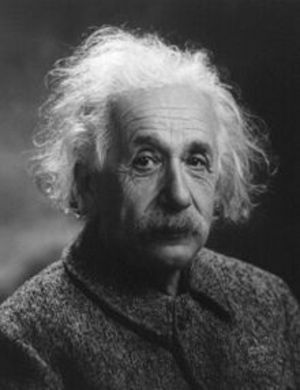 Einstein was, in effect, an independent scholar and an entrepreneur. His fame came only after he had made a significant contribution to the human race. The lesson here is that all the degrees and university accolades and imprimaturs in the world cannot produce a Special Theory of Relativity. Work like that can only come from the human spirit and determination to get at the truth and make a contribution to human knowledge. This is possible with or without a degree, with or without a job in academia, with or without getting paid to do what one does. The lesson here is that one needn't be blessed with a college degree or a position of importance in society in order to advance the field of human knowledge or to do something important in life. In fact much time is wasted taking courses in college when one could really be about singlemindedly pursuing some goal. It takes devotion to the pursuit of knowledge more than it takes the acquisition of degrees and advanced course work. Most people pursuing academic positions are not so much interested in making a breakthrough such as Einstein made as they are in a steady drip, drip, drip of professional paper production that will guarantee them advancement in academia. Pursuit of a singleminded goal might demand years of hard work while producing nothing. Andrew Wiles, who solved Fermat's last theorm, spent seven years locked in his attic and then, after announcing he had solved the problem, was embarrassed to find out he had made a mistake. Nevertheless, he made the necessary corrections and did finally, in fact, prove Fermat's last theorem. But I digress. After Einstein had come up with the General Theory of Relativity in 1916, he became famous and had a free ride at Princeton for the rest of his life. He was paid just to think and work on the Unified Field Theory which he worked on to no avail for the next 40 years or so till he died. In fact on his death bed he was still working on it. Good significant work can come from anyone engaged in any kind of work for money, not just from people who have been trained and degreed in a field. People shoudn't give up just because they didn't go to college or they don't have the right degrees or background. One can be a day laborer by day and a scholar by night. The tricky thing is to get good work recognized once it's been accomplished. Especially good work of a radical nature. That's where Einstein was so lucky. The work of a humble patent office clerk, which was totally radical as far as the physics establishment was concerned, was actually published in a prestigious physics journal and Einstein was on his way. Now that physicists have come up with the standard model of elementary particles which are particles that can't be broken down into any more basic particles, they are stymied in their search for dark matter and some empirical confirmation of string theory. It should be noted that the search for the elementary particles has cost billions and billions of dollars as the smaller the particle, the larger needs be the atom smasher to create and observe the particles. They consist of quarks of the following flavors: up, down, strange, charm, bottom, top; leptons such as the electron, muon, tau, electron neutrino, tau neutrino and muon neutrino; gauge bosons such as the gluon, W and Z bosons, photon; and other bosons such as the Higgs boson and graviton. There are also the antimatter equivalents of these particles. Now the interesting thing is that no one has ever seen a Higgs boson or a graviton for that matter. They are building, at the cost of approximately 3 billion euros, a Large Hadron Collider (LHC) at CERN, the European Organization for Nuclear Research, which is located near Geneva, Switzerland. 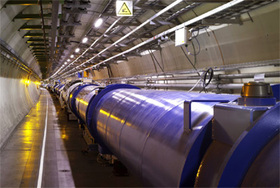 It is hoped that they will be able to see the Higgs boson with this apparatus. The photo above on the left is dark matter and the one on the right is not dark matter. Speaking of dark matter, it forms the bulk of all matter in the universe, but "astonomers readily admit that they don't know what dark matter is" according to Donald Goldsmith writing in Natural History Magazine, September 2007. Again physicists are racing to detect dark matter - so far unsuccessfully. According to Goldsmith, "Attempts to find the elusive particles that form dark matter have so far yielded only hope and construction contracts." Now the vaunted physicists are reduced to finding tiny amounts of it here on earth. Talk about looking for a needle in a haystack! There are supposedly two varieties of dark matter: relatively large objects called "Massive Compact Halo Objects" or MACHOs and little tiny objects called "Weakly Interacting Massive Particles" or WIMPs. Have these guys gone absolutely bonkers? They're spending billions of dollars of taxpayers' money running around looking for MACHOs and WIMPS, Higgs bosons and gravitons. Is this insanity or what? The problem is theoretical physics is relatively cheap. Paper and pencil is about all Einstein required. But no theory is taken seriously unless it can be confirmed by empirical experiments. That's the so-called scientific method. These experiments are what costs billions of dollars. In 1987, Congress was told the project could be completed for $4.4 billion, but by 1993 the cost projection exceeded $12 billion. An especially recurrent argument was the contrast with Nasa's contribution to the International Space Station (ISS), which was of similar amount. Critics of the project argued that the US could not afford both of them. The project was canceled by Congress in 1993. So the gap between theoretical physics and experimental confirmation of theory looms larger and larger to the point that theoretical physics is more of a belief system than anything else - sort of similar to religion. Sure it's probably more consistent than religion as any theoretical inconsistencies would invalidate the theory. But until there is experimental verification, which seems to be less and less likely, the closer physicists get to any ultimate explanation of the universe, the less they seem to be able to prove their theories. Instead physics consists of a collection of increasingly bizarre, unintuitive and unproven theories. Should nation states pour money into these endeavors? Well, compared to the trillions spent on armaments, weapons and war, the sum spent on the LHC at CERN is relatively trivial. Are there other areas where the money could be better spent than on the search for the elusive Higgs boson? Probably there are from a practical point of view. Why not search for the precursors of life? Aren't there theories about that and might money not be spent to verify them? If life is a fundamental feature of the universe, then its origins should be studied at the quantum level. All the disproofs of spontaneous generation, that is, life coming into existence from non-life, have been at the macroscopic rather than the microscopic level. The standard model of physics postulates that there are corresponding fields and particles. The Higgs boson, called "the God particle" by some, supposedly, gives mass to particles. Why not a field that gives life to particles? Is anyone keeping track of the number of viruses? These are considered the precursors to life. Could they be generated spontaneously or might there be an even more primitive quantum level precursor. The study of a Unified Unified Field Theory which took life into account at the quantum level might bear fruit. Dr. John C Mather won the Nobel Prize in Physics in 2006 for measuring the background radiation from the Big Bang from which the universe emanated 13.7 billion years ago. It's pretty amazing that we know the age of the universe with such precision and that it started from a single point, what scientists call a "singularity." Mather is an experimentalist whose measurements using the COBE (COsmic Background Explorer) satellite confirmed theoretical predictions about this background radiation that is left over from the Big Bang. In addition to that, the COBE team was able to measure slight variations in the intensity of this radiation which is thought to have been necessary for the formation of galaxies. The other interesting thing about John Mather is that he grew up and went to the same elementary school I did in northwestern New Jersey: Wantage Consolidated School. I graduated in 1955, and, evidently, John's family moved there in 1956 so I never knew or had heard of him until my neighbor on Lewisburg Road, Jim Wilson, who I hadn't heard from in years, discovered my blog after googling my father's name. My Dad, Clifton E Lawrence, was the principal at Wantage, and I'm sure he and my mother knew the Mather family since John's mother was a teacher at Wantage. 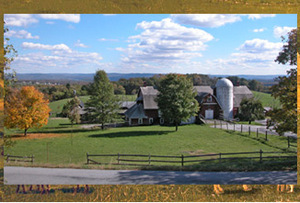 John's father was a researcher at Lusscroft Farms which was a branch of the New Jersey Agricultural Experiment Station of Rutgers University. He was a geneticist and studied ways to produce better dairy cows. I remember my Dad joking about this because the way you produced better dairy cows was to "harvest" the sperm of prize bulls. I remember my Dad saying that they froze the sperm so that the same bull might be producing babies years after he had died. That led to speculation as to exactly how the sperm was "harvested," but I won't go into that on this blog. Maybe somewhere in the bowels of the US Patent Office is an invention titled something like "Method and Apparatus for Harvesting Sperm from Bulls." Mather's interest in science started early in life. He went to the Museum of Natural History in New York City and was fascinated by the dinosaur exhibit. His father told him bedtime stories about cells and chromosomes. From an article in the Advertiser News: "He credits his teachers in elementary school for letting him follow his interests and read books during class. 'I remember entering a lot of science fairs with various projects. There was also a 4-H Club in electronics that was run by an engineer who worked on the communications towers and had a small factory somewhere north of Sussex.'" After graduating from Wantage in 1960, he attended Newton High School from which he graduated in 1964. In 2003 he was inducted into Newton High School's Hall of Fame. He went to Swarthmore College and then on to graduate school at UC Berkeley where he did his thesis on measuring energy left over from the Big Bang so his life's work and Nobel Prize was a continuation not only of his childhood interests but of his PhD thesis! It's remarkable that he was so focused! Right out of grad school, Mather went to work for NASA Goddard where, fortuitously, NASA had issued a RFP (request for proposal) for ideas for new satellites. Naturally, Dr. Mathers submitted a proposal, which was accepted, to put a satellite in space to measure the background radiation from the Big Bang, the subject of his college thesis. The rest is history. Dr. Mather has written a book, "The Very First Light." He was in Newton, NJ recently (March 31, 2007) to speak at the United Way of Sussex County Scholar-Athlete Banquet. There was a nice article in the March 25, 2007 edition of the New Jersey Herald regarding Dr. Mather from which we gathered a lot of the information for this post. When asked about the as yet unanswered questions about the universe, he responded this way: "There are at least three or four big mysteries out there. One of them is that astronomers measure that the matter (like) you and I are made of is only a very small part of the total stuff (in the universe.) You've probably heard of dark matter and dark energy - those two things are total mysteries to us. (Dark matter is thought to make up a large portion of the universe - dark energy acts the opposite of gravity and is speeding up the universe's expansion. Both have been theorized but not detected or measured.) We are pretty sure that they are there and that is about it. We don't know what their properties are, and we don't know how they connect with anything else." 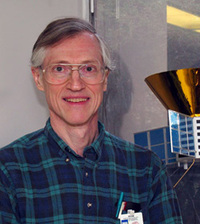 John Mather shared the $1.4 million Nobel Prize with his colleague George Smoot. What do we know for sure about ourselves and the universe? The two basic indisputable facts are that the universe exists and that we exist. We only know the universe exists by virtue of the fact of having been born into it. Descartes said, "I think; therefore, I am." "Cogito ergo sum" in Latin although Decartes said it in French! But is it really necessary to think? I think the essential fact is "I am." It is only necessary to have a conscious awareness to realize that I exist - no thinking required! By the same token, it is only necessary to have a conscious awareness to realize that the universe exists. So the essential facts of life are (1) I exist and (2) the universe exists. However, we can infer other things from these two essential facts. 1) We would not know that the universe exists unless we existed first. The universe might well exist and in fact did exist before we knew it existed. The universe could well exist without our existence even being necessary. It will probably still exist after we lose the capacity to realize that it exists. 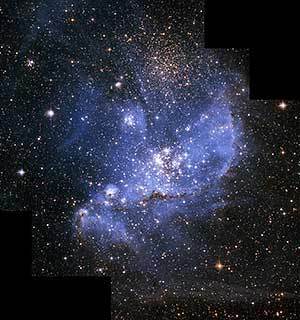 2) Other universes that we have not been born into may exist. We only know that this universe exists by virtue of the fact that we were born into it. We haven't been born into other universes. Therefore, they may exist without our knowledge. If they did exist what form would they take? They could exist in other dimensions than the universe that we are familiar with, and, therefore, be undetectable to us. Or they could be potentially detectable to us by virtue of being located within the dimensions with which we're familiar, but somewhere non-overlapping with the universe we live in. How could this be possible? Our universe supposedly started with a big bang. Now imagine far, far away another universe starting also with a big bang. The two universes would expand outward at something like the speed of light, but, if they were located spatially far away from each other, it might take many, many years before they would impinge on each other. If and when that happens, we could speak of two universes colliding in the same way that we know that two galaxies can collide. If our universe collides with another universe, news of this would take something like 15 billion years to reach us since the diameter of our universe is roughly 30 billion light years, our big bang having occurred approximately 15 billion years ago and assuming that electromagnetic energy would explode outward in all directions at the speed of light. Our telescopes can see almost to the edge of our universe. If they were capable of seeing much farther, there should be nothing to see, in other words, there is nothing but a void after one reaches the edge of our universe. However, if our universe collided with another, all of a sudden there would be something to see beyond the edge of our universe, and that's how we could tell that such a collision took place. So it would be possible in our Gedankenexperiment to envision another universe which started at a certain point in space time relative to our universe's origin in space time. We can envision two explosions occuring at different points in space which initially only affect the area in their immediate vicinities but eventually overlap so that the outward expansion from the one explosion becomes continuous with the outward expansion from the second. If two universes had their big bangs simultaneously, and then overlapped at a later date, it's possible to imagine them having their origins at different points in space. Theoretically, it should be possible to locate the origin of the universe if it started at a point and exploded outward forming more or less of a sphere. Then it should be possible theoretically to speak of the distance between the origins of the two universes. The distance another universe is from our universe would be relative to the origin of our universe since it would have created it's own space-time after it's own big bang. When the two universes collided, the two space-times would intermingle so it would be possible to speak of the distance to the other universe if we could see with our telescopes all the way across it to get an idea of how big it was. Then we would know how long it had been expanding due to the constancy of the speed of light and when it started in time relative to our own time. We would assume that light traveled at the same speed in the new universe we had discovered. If our universe started spontaneously, then one might think that the genesis of universes was a fundamental fact of nature. In other words big bangs could occur and would occur more than once. There would be nothing unique about the big bang that started our own universe. They might occur within our universe or outside our universe. Since we have never observed another universe starting within our universe (which would probably be a very destructive event if it occurred near us), we might be led to believe that the start of our universe was a unique event, but it was not necessarily a unique event. It it were a unique event, this would lead us to believe that there was a Creator. It would seem that either there was a Creator of our universe or universes could start at random anywhere as a fundamental fact of nature and we just haven't observed any other ones yet. One could make similar arguments about the origin of life. Was it a unique event that only started on our planet or has it started on other similarly endowed planets elsewhere in the universe and, therefore, life-starting or spontaneous generation is a fundamental fact of nature? And what about the end of our universe supposedly in a big crunch. We know black holes will play a fundamental role. As the universe contracts, more and more matter and energy will come closer and closer to black holes which will trap more and more of the substance of the universe. As galaxies collapse, they will be sucked into the black holes which are at their center. Will the universe end with all the mass and energy having been sucked into one enormous black hole? And then is it possible that that black hole might erupt in another big bang thus starting the whole process over again in a never ending cycle of universes being born and dying? Would this black hole have finite dimensions and thus not be a singularity or a point? And would this then mean that we would have to view the Creator in a different light much as we would if life were discovered on another planet in our own universe? I think that time is simply a convention for keeping track of events. There's nothing magical about it. We need to be able to order different events on a time line. Einstein has pointed out that this isn't as simple as it seems. Say we observe two supernovas explode, Supernova A at 6 PM PST and Supernova B at 6:01 PST. 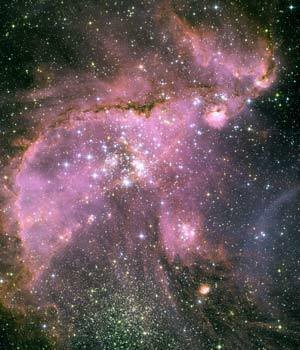 We can say that the event of supernova A preceded the event of supernova B or can we? If B is further away than A, and since light travels at a finite velocity, the event B may have preceded the event A. So in order to keep an accurate record we must take into account how far away an event that we observe is and how long it takes for light to travel to our observation point. Also we have to take into account things like gravitational fields which might bend the light as it travels to our observation point. This is what Einstein's theories of Special and General Relativity are all about. 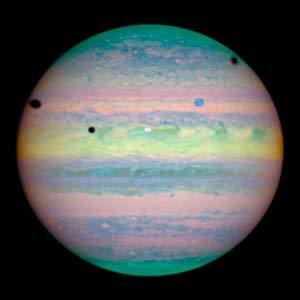 They make our record keeping completely accurate compared to the Newtonian system. However, it is still about record keeping. Before the universe started, did time exist? That would depend on whether there were any events. If there were no events, then time would be useless. On the other hand, if there were events, then time would be useful for ordering them. Space is similarly a system for ordering locations. Whatever geometry one wishes to use, we should be able to determine with complete accuracy the location of some object. Again Einstein's theory took more into account than Newton's so he was able to determine location with greater accuracy. Before the universe began, if there were no objects, then the concept of space as a way to measure location would have been useless and meaningless. One can imagine time existing without space. In a non-physical realm, there is no location hence no space. However, there may be non-physical beings that do things from time to time, hence events which would need to be ordered for the historical record. Therefore, there would be a need for time. Therefore, I believe that both time and space are merely conventions. At time = 0, we had the big bang, and at some later time there may be the big crunch. I think the universe will have a finite time span, and its whole history can be ordered with respect to time. So what is eternity? Eternity is the timelessness that existed before the universe began plus the time of the universe's duration plus the timelessness that will exist after the universe ends. Since time is merely a convention, the universe really exists in or is embedded in a state of timelessness. Individuals are born and die. Stars and solar systems are born and die, and the whole universe was born and will probably die, but these are all events which can be ordered in time. Other than that, we exist in a state of eternity, but for a finite time span. One might ask where in space did the universe begin? It began at a point, the point of the big bang, but where was that point. Is that point the center of the universe? Since space is only a meaningful concept in terms of measuring location in the physical universe, the point of the big bang is meaningless with respect to what preceded it, but not meaningless in terms of what came after it, namely the universe itself. I think it is a meaningful question to ask where in space is the point where the big bang started? It would be the origin of space and the origin of time. What about the question is there anything beyond the universe? Again since space only has meaning in terms of the universe, it is a meaningless question. One could say there is nothing there, but whether or not there is nothing there is unknowable. What we do know is that the universe is expanding roughly at the speed of light so that new space is being created all the time and has been created ever since the Big Bang.